Washington, DC -- The Bioplastics Council, a special interest group of SPI: The Plastics Industry Trade Association, is pleased to announce that Avantium has won the first annual Innovation in Bioplastics Award presented by the SPI Bioplastics Council. Avantium is recognized for the development of polyethylene furanoate (PEF). PEF’s superior barrier to oxygen, CO2 and water provides exciting new packaging opportunities to beverage makers including lightweighting of bottles and simplification of the production process by removal of coating layers or oxygen scavengers. The excellent bottle properties of PEF have generated interest from beverage makers like The Coca-Cola Company and Danone, who joined Avantium in a joint development platform to roll out the first PEF bottles to the market. The SPI Bioplastics Council ‘s new 2013 awards program recognizes outstanding innovation in unique and creative application of bioplastics materials, products or processes by a company. The award will be officially presented on June 12, 2013 at the Biopolymers Symposium organized by Smithers Rapra in Chicago, IL. A representative from Avantium will give the closing keynote presentation at the symposium. “Avantium is honored to have been awarded the first Innovation in Bioplastics Award,” said Tom van Aken, Avantium CEO. “We view this award as recognition and confirmation of the progress that Avantium has made in the development of our YXY Technology. The successful technology scale-up and operations of our pilot plant and the joint development partnerships with The Coca-Cola Company and Danone have created a strong commercial momentum, which enables us to continue our path to a successful first commercial production of PEF”. Applications were judged by a panel of authoritative sources in the industry: Dr. Jim Lunt of Jim Lunt LLC; Matt Naitove, Plastics Technology magazine’s Executive Editor; and Dr. Jo Ann Ratto of the U.S. Army. Launched in 2008, the Bioplastics Council was created to provide a forum for the full bioplastics value chain to promote the development and growth of the bioplastics industry. Currently, the members of the group are BASF Corporation, DuPont, Ecospan, Jamplast, Metabolix, NatureWorks LLC, Nypro Inc., PolyOne Corporation, Teknor Apex and UL. 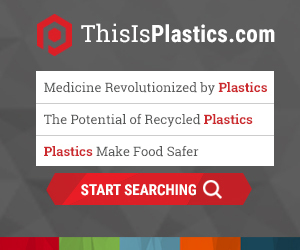 Learn more about the group at //www.bioplasticscouncil.org/. Award program inquiries should be addressed to SPI Vice President, Science, Technology and Regulatory Affairs, Melissa Hockstad at mhockstad@plasticsindustry.org or 202-974-5258. Avantium is a leading technology company specialized in the area of advanced high-throughput R&D. The company develops and commercializes YXY – the brand name for its technology platform to convert plant based carbohydrates into chemical building blocks. These chemical building blocks can be applied for making green materials with superior product properties at competitive pricing. Combined with the significant reduction in carbon footprint, Avantium's lead application PEF, fulfills key criteria to become the next generation biobased plastics for bottles, film and fibers. Avantium has demonstrated the value and commercial potential of its unique technology by collaborating with leading companies in the energy and chemical industries. Avantium offices and headquarters are based in Amsterdam, the Netherlands.